The exact date when the twelve tribes of Israel began to be know as "Israel" is not unanimously agreed upon by scholars and historians. However, it is accepted fact that the transformation took place sometime before the 13th century B.C. This date is established with fact because of the Israel Stele. 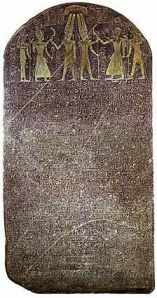 The Israel Stele is the earliest recorded reference to Israel as a collective people. It was written by the Egyptian Pharaoh Merneptah, who ruled Egypt anywhere from 1224 B.C to 1203 B.C., exact dates vary. During his reign, Mernephtah led conquests into the land of Canaan. Most scholars believe these campaigns probably occurred in the years of 1206-1207 B.C. "Carried off is Ashkelon; seized upon is Gezer; Yanoam is made as that which does not exist; the people of Israel is laid waste, its seed is not; Syria has become a widow of Egypt." Click on a link to view that section of the Twelve Tribes of Israel. Two important facts are revealed about the twelve tribes of Israel. The first is the most obvious, the mention of Israel as a people. This Stele asserts, without any doubt, that a group of people known as Israel lived in the land of Canaan in the 13th century B.C. The fact that these people are recognized as distinct and separate from the other victims implies they had been living there for an extended period of time. The twelve tribes of Israel had come to be known by the native inhabitants collectively as Israel. The second important fact rests in the wording of the Stele. Whereas the Stele opens the list with cities and regions conquered, at the mention of Israel, the phrase "the people of Israel" is used. The implication would seem to suggest the people of Israel were not limited to one city, or one region of Canaan. They were spread throughout the land. The twelve tribes of Israel occupied diverse regions and cities within the land of Canaan. This correlates with the Biblical description of the conquest. It would take over one hundred years (at least) for the Israelites to cleanse the land of Canaan and unite under Saul. Thus, it is unanimously agreed upon, and indisputable fact, that by the thirteenth century B.C., the twelve tribes of Israel had been dwelling in Canaan for some time. They were not limited to one particular region, but spread throughout the land. They were recognized as a distinct and separate people by the Egyptian Pharaoh. It is likely the 12 tribes of Israel had already undertaken the Exodus, and perhaps were in the midst of the conquest when this Stele was written. The exact timetable is highly debatable. For the present, the focus is on the evolution of the 12 tribes of Israel which led to their distinct identity in Canaan by the thirteenth century B.C. The beginning of governmental procedures within the twelve tribes of Israel started with Moses. His system was built upon the premise each tribe would govern itself, with Moses sitting as Chief Judge over larger disputes. This system was possible because of the structure and hierarchy already in place within each tribe. William C. Varner presents a unique study of the history and prophecies behind each of the twelve tribes of Israel. He focuses on the Blessings of Jacob in Genesis 49 and how each tribe fulfilled the words of Jacob. 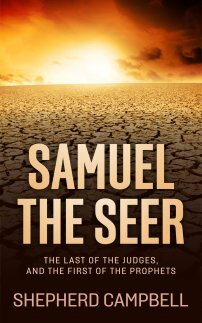 This scholarly, yet readable book, also probes into the roles of each tribe in the end times. Jacob's Dozen is a fascinating and prophetic look at the tribes of Israel! (courtesy barnesandnoble.com) Click on the link below to re-direct to bn.com! The structure of the tribe was common to all of the ancient world. Households were run by the father, or the oldest male. The birthright and the inheritance traditionally went to the oldest son. The father, as head of the household, could break from tradition if he wanted, and allot it to any son. The twelve tribes of Israel did not vary from this basic structure. The story of Jacob and Esau was once thought to be fiction, due to the transference of the birthright and inheritance to Jacob, the second born. In the narrative concerning the 12 sons of Jacob, a similar occurrence takes place when Reuben is stripped of his birthright as eldest son. Another example of this is seen in Ishmael and Isaac. However, ancient Hurrian tablets from Nuzi portray just such incidents, and provided outside evidence supporting the Biblical narrative. The Hurrians were known in the Bible as the Horites. Hurrian tablets have produced Biblical names as well. The basic unit within the tribe was the Clan. The Hebrew word for clan is "Elef", and translates as "clan", or "group". This word has created much controversy surrounding the number of Israelites in the Exodus. A clear indication of its usage in Scripture can be gleamed from Numbers 1:16. "These were the ones chosen from the congregation, the leaders of their ancestral tribes, the heads of the clans (elfei) of Israel." This passage suggests the translation of "Elef" does not indicate "thousand", as it is translated in Exodus 12:37. 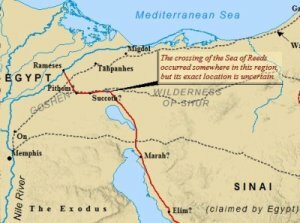 "The Israelites journeyed from Rameses to Succoth. There were about six hundred thousand (elef) men on foot, besides women and children." With this in mind, it is much more manageable if the translation reads; "six hundred clans of men on foot". Further passages support this view, based on the military engagements between the wandering twelve tribes of Israel and Egypt. An exodus of 2.5 million men, women, and children present many problems when confronted with other passages in the Bible. Additional support for this interpretation can be drawn from the many references to clans throughout the Old Testament. Whenever Scripture is talking of the twelve tribes of Israel as individual tribes, the word clan is used. Joshua allots the land of Canaan according to their clans. Representatives are elected from amongst the people out of the individual clans. It would make sense, thus, when describing the Exodus out of Egypt, that the Bible mentions the people moving out of Egypt in 600 clans, or by family. In other words, the Exodus was organized by clans, with each clan responsible for the well being of each member. As the twelve tribes of Israel remained autonomous, it was up to the clan to maintain law and order. Each clan was comprised of extended families which shared a common and recognizable lineage. In Hebrew, these extended families were called, "Beth-ab", or, "Father's House". The Beth-ab consisted of all the family members of a single living male. Married daughters were not counted in this number. These extended families typically included three or more generations, and supported large numbers of people. Clans, thus, could grow to be very large groups. Each family within the Beth-ab was run by the father, and each clan was run by the heads of each individual family. At times, only one man would represent the Beth-ab in tribal meetings. This man was typically the oldest male in that Beth-ab, thus, the head of that clan. Each grandson of Jacob became a clan within the twelve tribes of Israel. Joshua would later allot the land of Canaan "according to their clans" (Josh. 15:1). Tribes, thus, consisted of many clans. Clans, in turn, were composed of several extended families, called the Beth-ab. Families were led by the father, the head of his family. This detailed structure of the 12 tribes of Israel would enable God to move His people about in the desert in an organized fashion. Later on, His military leaders would structure the army around similar concepts. The clan and the Beth-ab provided protection for the individual. These two branches also worked to secure the identity of the tribe, and maintain the tribal records of lineage and ancestry so important to legitimacy. These very records, starting with the sons of Jacob, were to be maintained by the head of each family. It was these records, transcribed and handed down from generation to generation, that would form the Old Testament. The records kept by each of the twelve tribes of Israel allowed members to trace their lineage back for many generations. Such was the case with Jesus, tracing His lineage back to David, of the tribe of Judah. The twelve tribes of Israel operated with extreme efficiency for a group of people not united under one political and judicial system. This efficiency and organization is demonstrated in the story of Achan. 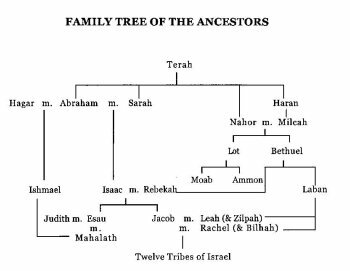 The detailed structure of each tribe, clan, and Beth-ab is clearly seen in the Biblical narrative of Achan. The story is found in Joshua 7:14-17. The background involves the conquest of Canaan. The twelve tribes of Israel were fueled by the momentum of just taking Jericho. Their next movement was against Bethel. They met the Bethelites at Ai, and were defeated. Sin was found amongst the tribes of Israel. One man had violated God's decree that all of the devoted things of Jericho be given to God. Somebody had taken something for himself, and it had cost the Israelites 36 men at the battle of Ai. God instructed Joshua to search out the guilty man and punish him. Without organization, this task would have been impossible. The Israelites numbered anywhere from 8,000 men, women and children, to 2.5 million men, women and children, based on which interpretation of "elef" one chooses to go by. God issued Joshua instructions on how to find the guilty party in Joshua 7:14. "In the morning, present yourselves tribe by tribe. The tribe that the Lord takes shall come forward clan by clan; the clan that the Lord takes shall come forward family by family; and the family that the Lord takes shall come forward man by man." The affair was to be an orderly, organized, and methodical search of all the men of Israel. Nobody would be able to hide, or conveniently not show up. Verse sixteen depicts the procession, and the identification of the guilty party. "Early the next morning, Joshua had Israel come forward by tribes, and Judah was taken. The clans of Judah came forward, and he took the Zerahites. He had the clan of the Zerahites come forward by families, and Zimri was taken. Joshua had his family come forward, man by man, and Achan son of Carmi, the son of Zimri, the son of Zerah, of the tribe of Judah, was taken." What a remarkable picture of structure and organization! Scripture illuminates the policies in place within the twelve tribes of Israel by simply telling us a story. The Bible tells us the tribes of Israel were to present themselves as a collective group. Once the tribes of Israel were assembled, they came forward tribe by tribe. Perhaps each tribe marched by in a military like procession of sorts, Scripture does not say. Each individual tribe was to come forward, one clan at a time. Thus it becomes evident multiple clans made up each tribe. Each clan presented themselves family by family. Each extended family broke up into their immediate family, and presented themselves to Joshua. As each family stepped forward, each man, individually, was to present himself to Joshua. The guilty man belonged to the tribe of Judah. His clan was the Zerahites, founded by Zerah. Zerah was a son of Judah (Num. 26:20). As the Zerahite clan came forward, Scripture indicates Zimri was taken. Zimri was the son of Zerah, the head of the clan. Zimri was not taken individually, rather, the household of Zimri was called forward. His household came forward man by man, until Achan, his son, was deemed the guilty party. Only the men were present in this instance, as only the men fought. It also becomes evident that the clans were represented by offspring of each of Jacob's twelve sons. Scripture clearly indicates each son of Jacob was the founder and head of his tribe. As each son was head of his tribe, each grandson of Jacob became clan heads within the tribe of their father. Each of the 12 tribes of Israel placed a great deal of importance on land. It was a sacred possession to each family. In the case where debt threatened a loss of land, such land had to be redeemed by a member of the Beth-ab, or the clan. Leviticus 25:25 highlights this point. "If one of your countrymen becomes poor and sells some of his property, his nearest relative is to come and redeem what his countrymen has sold." The story of the prophet Jeremiah purchasing a field also reflects the obligations of the clan and Beth-ab. Jeremiah 32:7 provides further evidence. "Hanamel son of Shallum, your uncle is going to come to you and say, 'Buy my field at Anathoth, because as nearest relative it is your right and duty to buy it.' "
It is significant to point out the fundamental unit of the twelve tribes of Israel was the family. Within this context, it is easy to recognize the significance of the Ten Commandments, and the need to obey one's father and mother. Each of the 12 tribes of Israel functioned only as efficiently as the families which constituted it. Each family functioned only as efficiently as it's individual members. Early on, the twelve tribes of Israel possessed a large degree of autonomy, and functioned mostly independent of each other. The Beth-ab and clan handled most disputes. The lack of centralization has led many scholars to claim the tribes of Israel were merely a loose confederation of tribes. These same scholars outright deny the validity of familial origins within each tribe, based on the patriarchal stories. Though it is true the twelve tribes of Israel lacked central leadership, they did not lack a central, unifying theme. God, of course, was the head of all of the tribes of Israel. It was to be His commandments and decrees which would unite the tribes of Israel. He would foster their development, and see to their well being and continual growth. The worship of one God was to be the central, fundamental building block of the twelve tribes of Israel. Even though each tribe maintained autonomy, they were still united under the commandments and precepts of the One God Almighty. Initially, the government of God's people revolved around the clan. However, as the Israelites dwelt in Egypt, they prospered and grew in number. By the time Moses led the twelve tribes of Israel out of Egypt, they had grown exponentially. It became necessary to preserve order in the wilderness through the observance of defined tribal structure and hierarchy. The watershed event in the history of Israel was the Exodus. The mass migration of the twelve tribes of Israel out of Egypt is the subject of much debate between archaeologists, scholars, and historians. 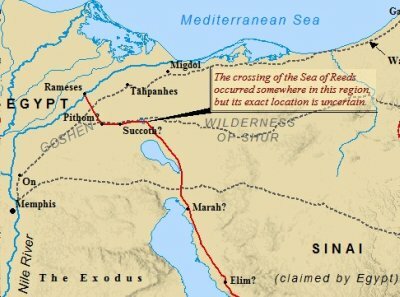 One of the often overlooked aspects of the Exodus is the sheer logistics behind the movement of a large group of people through the desert. The people of Israel were suddenly cut loose and on their own for the first time in nearly 400 years. They had no idea of central government. They had no judicial system, no code of laws, no method of settling disputes. They didn't even have a homeland. However, they did have God, and He would provide them with the necessary means to establish law and order. Seemingly overnight the twelve tribes of Israel were forced to create a system which would enable them to travel, en masse, through the desert. This system, however, developed over time, as Scripture indicates. As indicated above, each clan and tribe had previously operated within itself, independent of the other tribes of Israel. However, Moses had led them as a group out of Egypt and into the desert. There was no place to go, thus, each tribe had to learn to function within the confines of the larger group. 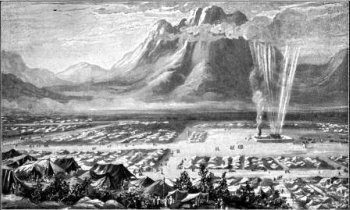 Disputes quickly arose within the Israelite camp, and Moses was left to settle these disputes by himself. Interestingly enough, it was not Moses who organized the twelve tribes of Israel in the desert, but rather his father-in-law, Jethro. Exodus 18 depicts the structure and organization of the 12 tribes of Israel as they first encamped near Sinai. "The next day Moses took his seat to serve as judge for the people, and they stood around him from morning till evening. When his father-in-law saw all that Moses was doing for the people, he said, 'What is this you are doing for the people? Why do you alone sit as judge, while all these people stand around you from morning till evening?" The picture painted is one of chaos and disorganization. Moses alone was left to serve the people and settle disputes. Even if one takes the low-end estimate of the population of Israel in the desert (8,000), the task of one man serving as judge is impossible. Very little would have gotten accomplished. Jethro then shares his opinion of what Moses needs to do. He lays forth a framework of government for the twelve tribes of Israel. His advice is given in Exodus 18:17-23. "Moses' father-in-law replied, 'What you are doing is not good. You and these people who come to you will only wear yourselves out. The work is too heavy for you; you cannot handle it alone. Listen now to me and I will give you some advice, and may God be with you. You must be the people's representative before God and bring their disputes to him. Teach them the decrees and laws, and show them the way to live and the duties they are to perform." Moses' role is seen as High Priest of the twelve tribes of Israel. It is his job to instruct the tribes of Israel in the ways of God. He would take the national concerns and sins of the people before God. Jethro continues with his advice to Moses. Jethro urged Moses to select men to represent each Beth-ab, clan, and tribe. The fact Jethro described these officials as being the head over "thousands, hundreds, fifties and tens" seems to provide further evidence the Exodus did not consist of 2.5 million people. If this were the case, it would seem officials would have been placed over larger groups of just one thousand people. It would seem logical Scripture would have indicated officials over millions, hundreds of thousands, tens of thousands, then over thousands. The main point though, is that the twelve tribes of Israel now had a centralized system of settling disputes. The fact Moses follows his father-in-law's advice is seen in 18:24-26. "Moses listened to his father-in-law and did everything he said. He chose capable men from all Israel and made them leaders of the people, officials over thousands, hundreds, fifties, and tens. They served as judges for the people at all times. The difficult cases they brought to Moses, but the simple ones they decided themselves." Moses had established the system of government which would shape the twelve tribes of Israel in the wilderness and into Canaan. This system would last for hundreds of years, and would produce the Judges and Prophets of the Old Testament. However, it was still a fragmented judicial system, as each tribe was allowed to settle its own simple disputes. 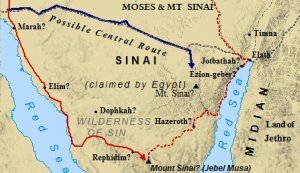 The guidelines used by each tribe, however, were to be the commands given them by God at Sinai. Indeed, the issuance of the Ten Commandments follows this passage in Scripture. God was laying forth the system of rule by which He would establish His people, and lead them into the land of Canaan. Further detail is given throughout Scripture which sheds light on the infrastructure of the twelve tribes of Israel. Exodus 19:7 reveals one branch of government within the twelve tribes of Israel. "So Moses went back and summoned the elders of the people and set before them all the words the Lord had commanded him to speak." Exodus 24:1 sheds further light on the elders. "Then he said to Moses, 'Come up to the Lord, you and Aaron, Nadab and Abihu, and seventy of the elders of Israel. You are to worship at a distance..."
Thus, it is evident there were at least 70 elders which held special privilege amongst the twelve tribes of Israel. These worshiped with Moses, though only Moses could approach the Lord. The only function mentioned for the 70 elders is found in Numbers 11:17. "...They will help you carry the burden of the people so that you will not have to carry it alone." This is a rather open-ended assignment. In essence, it seems the role of the 70 elders was to help Moses in whatever function he needed them. They were to help "carry the burden", apparently in whatever way Moses saw fit. Numbers opens with God issuing a command to Moses to take a census of the twelve tribes of Israel. "Take a census of the whole Israelite community by their clans and families.."
Numbers 1:4 gives further insight into how many people God required of Moses to help him accomplish his task. "One man from each tribe, each the head of his family, is to help you." Numbers 1:16 also depicts a tribal hierarchy. "These were the men appointed from the community, the leaders of their ancestral tribes. They were the heads of the clans of Israel." This makes it clear that one man was chosen per tribe. This man was the head of his particular clan. As multiple clans made up each tribe, these men were the most respected of the individual clan heads within that tribe. The number of clan heads within each of the twelve tribes of Israel would vary according to tribe population. Numbers 1:44 depicts an "inner council" of sorts. "These were the men counted by Moses and Aaron and the twelve leaders of Israel, each one representing his family." Numbers 34:18-19 depicts a chain of command set in place. God ordered Moses to divide the land of Canaan between the twelve tribes of Israel. The land was to be divided by clans within each tribe. God instructs Moses to obtain help from Eleazar the Priest, Joshua, and one leader from each of the twelve tribes of Israel. Thus, the chain of command appears to be; God = Moses = Eleazar = Joshua = 12 leaders from each tribe. Perhaps the most descriptive passage regarding the government of the twelve tribes of Israel occurs in Joshua 23:2. In this passage, the twelve tribes of Israel had been established in Canaan. Joshua had replaced Moses years earlier upon Moses' death. Scripture relates that Joshua, by this time, was "old and well advanced in years". Joshua summons all Israel together to address the tribes of Israel. "summoned all Israel - their elders, leaders, judges and officials..."
A similar list is given in Numbers 24:1. "Then Joshua assembled all the tribes of Israel at Shechem. He summoned the elders, leaders, judges and officials of Israel." These passages imply at the most basic level, the clan, there were judges and officials responsible for the overseeing of the people. These judges and officials perhaps reported to the 12 leaders of the 12 tribes of Israel. In turn, these leaders seem to have reported to the 70 elders, the exact structure of which is not given. The elders, thus, reported to the High Priest and Joshua. The case was then taken before God by Joshua, or, later the High Priest. God had implemented a defined chain of command within the twelve tribes of Israel. This command bound the tribes together, even though each functioned independently. The tribe of Levi would become a unique tribe. The Levites would function outside of the other tribes of Israel, as they were the priestly tribe. Numbers 3 depicts a second arm of government within the twelve tribes of Israel. This branch was to oversee the Tabernacle and all its furnishings. "The Lord said to Moses, 'Bring the tribe of Levi and present them to Aaron the priest to assist him. They are to perform duties for him and for the whole community at the Tent of Meeting by doing the work of the tabernacle. They are to take care of all the furnishings of the Israelites by doing the work of the tabernacle. Give the Levites to Aaron and his sons, they are the Israelites who are to be given wholly to him. Appoint Aaron and his sons to serve as priests; anyone else who approaches the sanctuary must be put to death." Two sons of Aaron were killed by God for making an unauthorized sacrifice in Sinai (Num.3:4). Consequently, Eleazar and Ithamar served as priests during Aaron's life. "Every firstborn male in Israel, whether man or animal, is mine. When I struck down all the firstborn in Egypt, I set them apart for myself. And I have taken the Levites in place of all the firstborn sons in Israel." Rather than take the life of every firstborn in Israel, as God had done in Egypt, He spares their lives. In exchange, He takes the Levites to be the priestly tribe of the twelve tribes of Israel. They are consecrated for His service. In the verses prior to verse 17, God ordered Moses to purify the Levites. "The Lord said to Moses: 'Take the Levites from among the other Israelites and make them ceremonially clean." Their uniqueness is seen further in verse 14. "In this way you are to set the Levites apart from the other Israelies, and the Levites will be mine." God goes into great detail with Moses about how to purify them, and what their exact role is. The Levites were to do the work at the Tent of Meeting required of them by Aaron. It is explicitly stated they are to serve under the supervision of Aaron and the other priests. God even instructs Moses as to the age requirements of the Levites. Verses 23-26 explain that at the age of twenty-five, the Levites are to begin work. Their work is to continue until they reach the age of fifty. At this time, the retire from their service. Though they are allowed to assist the younger Levites, God orders they are not to do any of the work themselves. As one studies the Scriptures, it becomes clear God left nothing to chance with His people. He established laws, structure, hierarchy, and a chain of command. The twelve tribes of Israel were highly organized and very efficient. This becomes evident as one studies the battles which took place during the conquest. The structure and organization God had established in the wilderness under Moses, paved the way for Joshua's military prowess during the conquest. He was able, with the guidance of God, to move large numbers of troops very quickly. The military efficiency and lethality of the Israelites in Canaan was established long before they marched on Jericho. What began with the call of one man, Abraham , had evolved into a complex government, functioning on two levels simultaneously. The chain of command from the clan to Moses allowed for the easy settlement of disputes, and maintained order amongst the twelve tribes of Israel. The setting apart of the Levites established an arm of government to maintain and supervise the Tabernacle. The Levites did not concern themselves with the daily affairs of the other twelve tribes of Israel. Their concern dealt with a much higher law, the commands and statutes of God. An easy to read history of Israel from ancient old testament times to today.